Get involved at one of our events and help us raise funds to care for our animals. 12apr10:00 am6:00 pm"Every Little (Donation) Helps", Tesco's Collection in CowleyPlease spare your change for the Sanctuary. Every penny goes to creating a positive change for local pets. On Friday 12th April 2019, we will be raising awareness and collecting donations at Tesco, Cowley. Please come and talk with us, put some change in our tin or sign up to get involved whether you would like to walk a rescue dog, sponsor a rescue or start fundraising for our local animals. We are here to help you get started. Remember to nominate The Oxfordshire Animal Sanctuary in your local supermarkets next charity fundraising drive. If you are unsure of who your local store is supporting. Please ask a member of staff behind the Customer Services desk. We have a wonderful team of volunteers who help with our fundraising efforts. They are happy to provide support at local events, if you would like to be part of our volunteer fundraising group please get in touch with our team of helpers. Please email support@oascharity.org.uk. We would love to hear from you. Fundraising with us is a great way to meet like-minded individuals with a passion for caring for the most neglected, abandoned and vulnerable animals in Oxfordshire alongside our work to educate and improve animal welfare. By raising money for us you will help to care for sick, abandoned and unwanted pets. 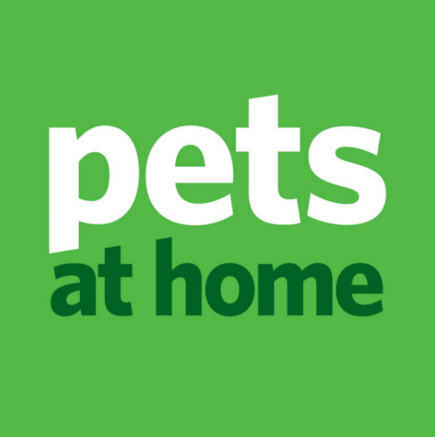 20apr9:00 am5:00 pmFundraising in Pets at Home Botley April 2019Fundraising for our Animals as Part of Support Adoption for Pets programme! If you’re shopping at Pets at Home in Botley this weekend, or just in the local area, it would be amazingly generous of you to spare any change to help support our animals. The wonderful management and staff at Pets at Home Botley have made us their partner charity for another year and we’re here supporting the amazing Support Adoption for Pets programme that Pets at Home operate. Thank you for choosing to support our animals, they (and we) really appreciate it! We rely 100% on donations to fulfil our promise to care for Oxfordshire’s most vulnerable animals. If you are in the local area, please pop in and say hello! The Oxfordshire Animal Sanctuary admits & rehomes over 500 animals every year. Since opening in 1967, we have proudly managed to help over 25,000 animals find their forever home. Many of our animals come to us from difficult backgrounds. Some arrive with acute behavioural needs and some have immediate medical needs. We deal with each case individually and start by earning their trust and understanding their needs. We hold our ’non-destruction policy’ as a core principle for our work. This means that we will never put a healthy animal down and work to find each one a forever home. Support Adoption For Pets offers a Partnership Scheme between local animal rescue centres and local Pets at Home stores to raise funds, build awareness and create opportunities for support. 27apr9:00 am5:00 pmFundraising in Pets at Home Abingdon April 2019Fundraising for our Animals as Part of Support Adoption for Pets programme! If you’re shopping at Pets at Home in Abingdon this weekend, or just in the local area, it would be amazingly generous of you to spare any change to help support our animals. The wonderful management and staff at Pets at Home Abingdon have made us their partner charity for another year and we’re here supporting the amazing Support Adoption for Pets programme that Pets at Home operate.